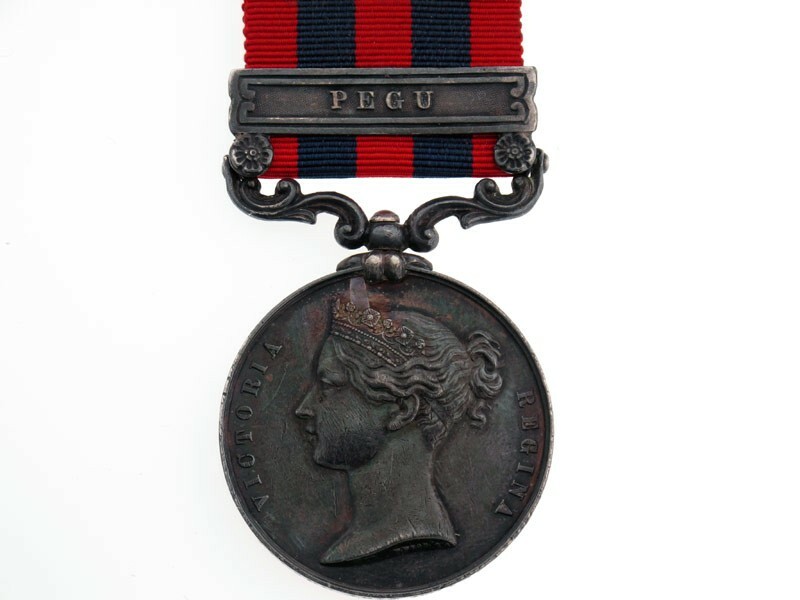 India General Service Medal 1849-95, with 1 clasp - Pegu. (JOHN POLLARD. 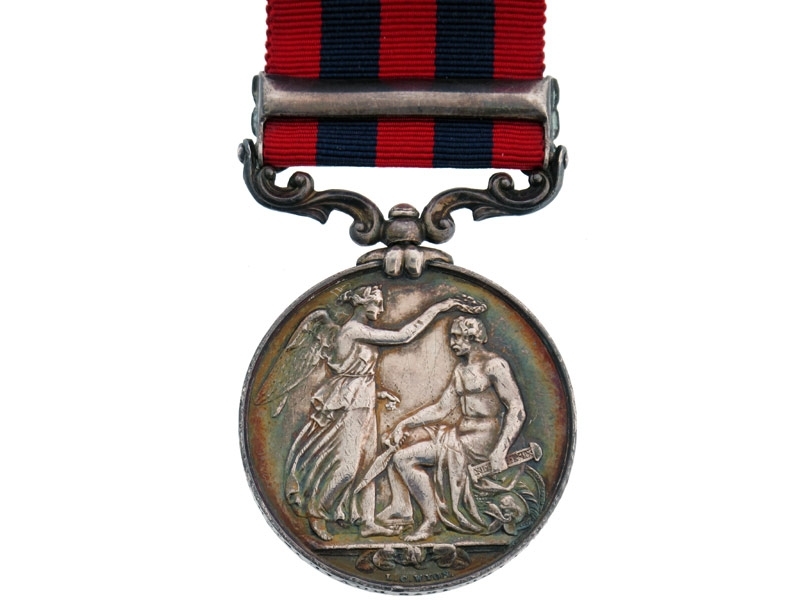 18TH ROYAL IRISH REGT) Naming is officially impressed in large block lettering, very slight surface wear, dark patina, extremely fine condition.